Due to past shortfalls with achieving quorum and in an attempt to make it convenient for residents to attend the Annual Meeting, the Board of Directors for all three East Stratford Associations have voted to hold the 2018 Annual Meeting of each Association on the same night, March 26, 2018, at staggered times. Below please find and read the narratives relating to each Association to which you belong for attendance at the Annual Meeting. Registration for the 2018 Annual Meeting for the C&D Association will begin promptly at 6:00 PM. Call To Order for this meeting will be at 6:15 PM. Pursuant to the 2015 amended Bylaws of the Association, East Stratford Phase C&D must reach a quorum of 10% (17 homes) in order to conduct this meeting. Registration for the 2018 Annual Meeting for the Residential Community Association will begin promptly at 6:35 PM. Call To Order for this meeting will be at 6:45 PM. Pursuant to the Bylaws of the Association, East Stratford Residential must reach a quorum of 10% (37 homes) in order to hold this meeting. 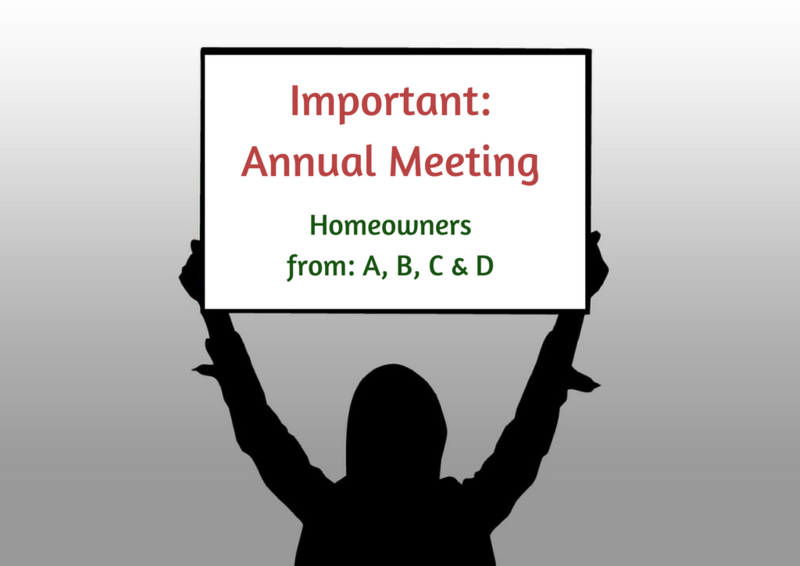 Registration for the 2018 Annual Meeting for the A&B Association will begin promptly at 7:05 PM Call To Order for this meeting will be at 7:15 PM Pursuant to the Bylaws of the Association, East Stratford Phase A&B must reach a quorum of 10% (20 homes) in order to hold this meeting. 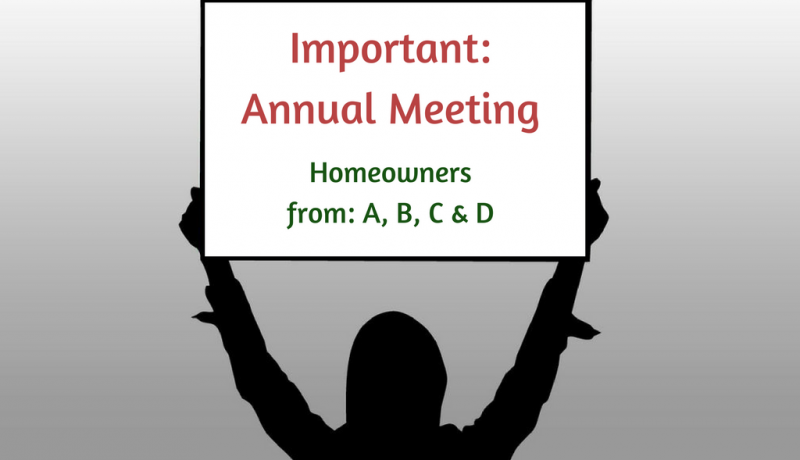 The Board of Directors for each association understands and accepts that not everyone will be able to attend this meeting; therefore, if you cannot attend this meeting, PLEASE fill out the attached proxy form (for the appropriate associations) and send back to my office as soon as possible, but no later than 5:00 PM on March 23, 2018. Please note that such proxy shall be deemed revoked only upon actual attendance by the person submitting the proxy.